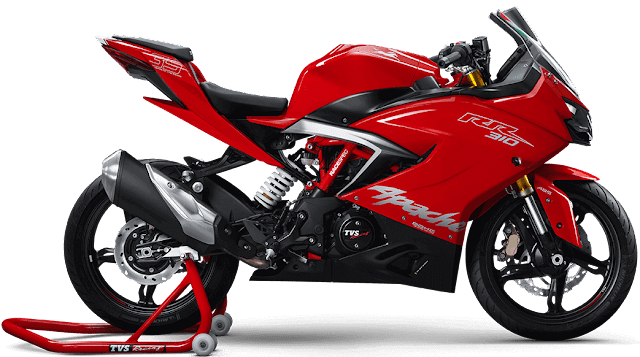 Best bike in India 2018 are TVs apache 300 R, Tvs Apache RTR 160 4v, Hero Xtreme 200 R, Yamaha R15 V3, Bajaj dominar 400, Kawasaki ninja 300. 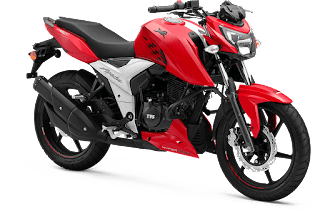 So these are the best bike in India 2018. 1. 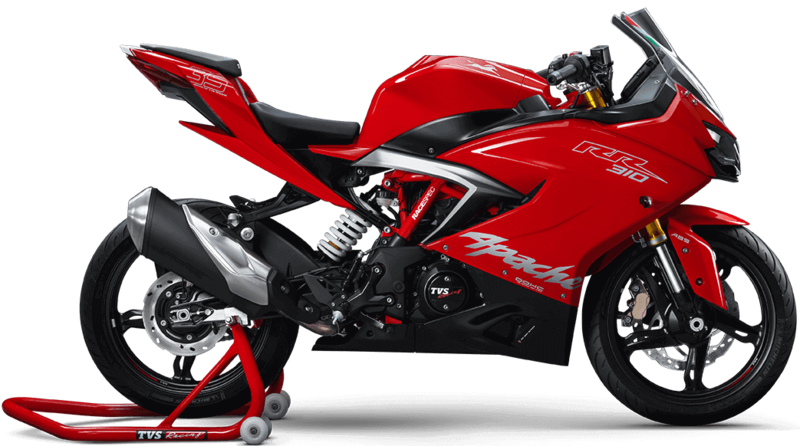 Tvs apache 300 R- This bike comes with 312.2 ccs single cylinder,4-stroke, 4-valve, reverse inclined DOHC, SI engine. Which produces the max power of 34 bhp @9,700 rpm and the max torque of 27.3 @7,700 rpm. It has single cylinder and 4 valves per cylinder. It has fuel injection as fuel delivery system and ignition system is dynamically controlled integrated high energy ignition system. It's fuel tank capacity is of 11 litres and can give the mileage of 30 km per litre. I can reach the top speed of 160 km per hour and can reach 0-60 in 2.83 seconds and 0-100 in 6.50 seconds. It get's 6 speed gearbox. It has inverted cartridge telescopic fork as front suspension and two arm aluminium Die-cast swing arm, monotube, floating piston gas assisted shock absorbers as rear suspension. It get's 110/70-R17 as front section tyre and 150/60-R17. First best bike in India 2018.
as rear section tyres which are tubeless too. Wheel size is of 17 inch. It's kerb weight is of 160.5 kg and ground clearance is of 180 mm. The best part of this bike this bike comes with ABS (anti-lock braking system) which is dual channel ABS. Price of this bike is 2 lakh 23 thousand rupees / RS 2,23,000 ex-showroom Chandigarh. ignition. Its fuel tank capacity is of 12 litres claimed mileage of this bike is 60 km per litre but when I tested it it was giving the mileage of 54 km per litre. But only when you will drive it between 40-60 km per hour. Claimed top speed of this bike is 113 km per hour but when I was riding this bike it was reaching to 125 km per hour very easily. It can reach 0-60 in 4.73 seconds and 0-100 in 15.7 seconds. It has 5-speed gearbox. It has telescopic forks as front suspension and monoshox as rear suspension. Size of the front tyre is 90/90-17 and size of rear tyre is 130/70-17. It has tubeless tyres, wheel size is 17 inch. Its weight is 145 kg and ground clearance is 180 mm. Its standard warranty is of 3 years or 30,000 km. Everything in the other two models are same accept tyre size and power. Power in fuel injection variant is 16.8 bhp @ 8000 rpm and power in carburettor variant is 16.5 bhp @8000 rpm. Tyre size in carburettor with rear drum brake is 90/90-70 as front section tyre and 110/80-17 as rear section tyre and other two variants have 90/90-17 as front tyre and 13/70-17 as a rear tyre. Price of this bike starts from rs 84,887 - 88,137 ex-showroom Chandigarh, prices may vary in different places. Second best bike in India 2018. 3. 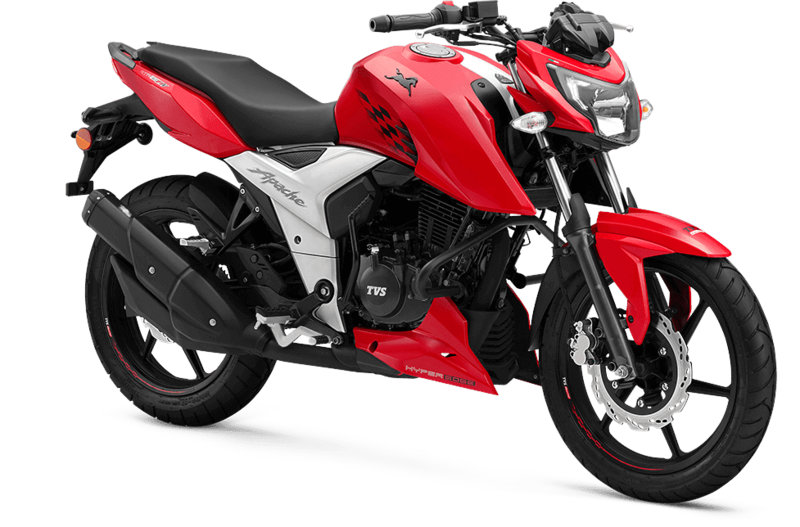 Hero Xtreme 200 RR - It has 199.6 ccs air-cooled, single cylinder, 4-stroke, 2-valve OHC engine. Which produces the max power of 18.35 bhp @ 8,000 rpm and the max torque of 17.1 nm @ 6,500 rpm. It has the single cylinder and 4 valves per cylinder. This has Carburetor as fuel delivery system. It has the fuel tank capacity of 12.4 liters and can give the mileage of 39 km per litre and it's claimed top speed is 114 km per hour but it can reach 125 km per hour very easily. This has the 5-speed gearbox. Third best bike in India 2018. It has disc brakes in both the tyres and you also get ABS which is dual channel. It gets telescopic hydraulic type (37 mm dia) with anti-friction bush as front suspension and 7 step adjustable mono shocks as rear suspension. This bike gets 100/80 17 section front tyres and 130/70-R17 section rear tyres. Wheel size is 17 inch for both the tyres and both the tyres are tubeless. Its kerb weight is of 146 kg and the ground clearance is of 167 mm. 4. Yamaha R15 v3 - It is a 155 cc single cylinder bike. Gives 18.7 bhp at 10,000 rpm which kicks out 15 Nm of torque at 8,500 rpm. It is a fuel injected bike which has the liquid cooled engine. Its fuel tank capacity is of 11 litres and gives an average between 32 to 36 km per liter. Its ex-showroom price in Chandigarh is 1,38,000 RS. I know this bike is only of 155 cc bike and it is a little bit expensive but you can not find any other 150 cc bike better than this bike. 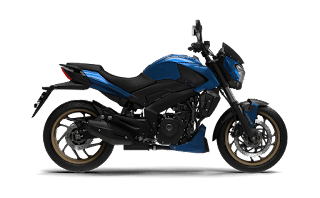 because it is one of the most powerful variants of 150 cc bikes available in India and one the most aggressive looking bike in 150 cc segment. but It is also true that in this price segment some bikes are offering more power. 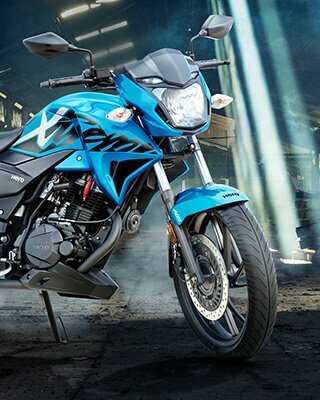 Fourth best bike in India 2018. 4. 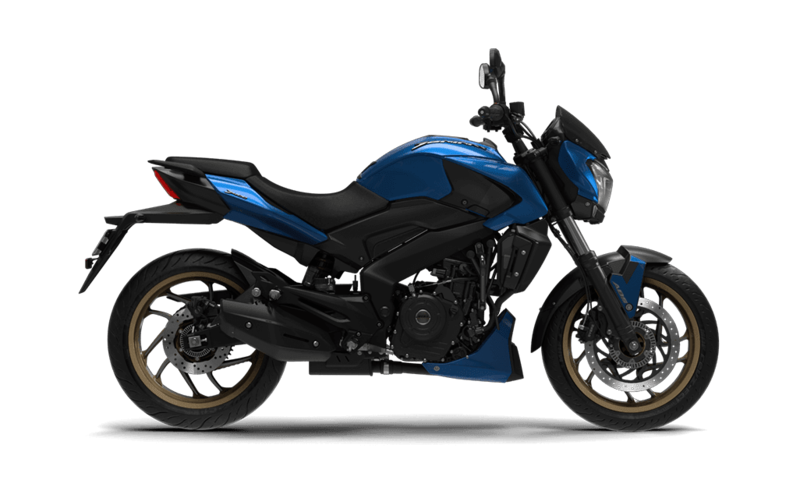 Bajaj dominar 400 - This bike comes with 373.3 ccs single cylinder, 4-valve, triple spark DTSi engine. 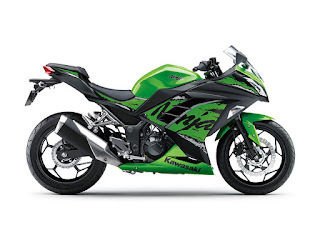 Which produces the max power of 35 bhp @8,000 rpm and the max torque of 35 nm @6,500 rpm. It has a single cylinder and 4-valves per cylinder and the fuel delivery system is fuel injection. It has a 13-liter fuel tank and the bike gives the mileage of 28 km per liter. The company claims its top speed up to 150 km per hour but trust m, friend,d this bike goes up to 162 km per hour very easily. It can reach 0-60 in 2.8 seconds and 0-100 in 6.28 seconds. It has a 6-speed gearbox. It gets disc brakes in both the tyres. It gets telescopic 43 mm forks as front suspension and multi-step adjustable mono shock as rear suspension. It gets 110/70-17 as front section tyre and 150/60-17 as rear section tyres which are tubeless too. Its weight is of 182 kg and ground clearance is of 157 mm. This bike is available with ABS as an option. Price of Bajaj dominar 400 std is 1 lakh 48 thousand ex-showroom Chandigarh. 5. Kawasaki Ninja 300-This bike comes with 296 ccs parallel twin, 4-stroke, 8-valves DOHC engine. Which produces the max power of 39 bhp @11,000 rpm and the max torque of 27 nm @10,000 rpm, it gets 2 cylinders and 4-valves per cylinder total 8-valves, it has fuel injection as fuel delivery system, liquid cooled as a cooling system and has digital ignition system. It's fuel tank capacity is of 17 liters and can give the mileage of 32 km per liter. Claimed top speed of this bike is 145 km per hour but it reaches 170 km per hour very easily and then also it is able to reach a higher top speed. Fifth best bike in India 2018. It can reach 0-60 in 3.3 seconds and 0-100 in 7.17 seconds. It gets 6-speed gearbox and get's disc brakes in both the tyres and the best part about it is that it gets duel channel ABS as standard. It gets 37 mm telescopic fork /120 mm as front suspension and bottom-link uni-track with gas charged shock and 5-way adjustable preload /132 mm as rear suspension. It gets 110/70-R17 as front section tyre and 150/60-R17 as rear section tyre which is tubeless and the wheel size is 17 inch. Its kerb weight is 172 kg and the ground clearance is 140 mm. You can get this bike in 2 lakh 98 thousand rupees ex-showroom Chandigarh.